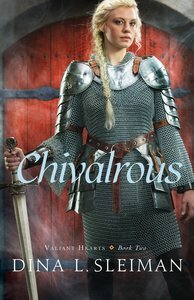 About "Chivalrous (#02 in Valiant Hearts Series)"
Dina Sleiman holds an MA in professional writing from Regent University and a BA in communications with a minor in English from Oral Roberts University. Over the past eighteen years, she has had opportunities to teach college writing and literature, as well as high school and elementary classes in English, humanities, and fine arts. She lives in Virginia with her husband and three children. She can be found online at www.dinasleiman.com.